Wellbore data visualisation and management software specialist Perigon Solutions had grown significantly in terms of both offer and geography over its ten-year history. Its product had a great reputation. But the customer experience wasn’t perhaps as strong as it could have been. To turn this around, the company put the processes and procedures in place to strengthen its offer. And, with a major new version of its flagship iPoint software imminent, Perigon decided to refresh their brand and create a new website. So Perigon turned to Fifth Ring. It was our job to tell internal and external stakeholders that Perigon was no longer a young company finding its feet. It was now very much ready to take on the big boys. We would also show how Perigon products fit into customers’ worlds, and demonstrate the unique capabilities of their iPoint software. Fifth Ring’s redevelopment of the company’s new messaging platform and identity naturally led to a review of their logo. The brand refresh had resulted in the dropping of the word ‘solutions’ from the company’s name in order to align with how it was commonly remembered and referred to. After all, everyone offers ‘solutions’, don’t they? We used circular shapes, not only to reinforce Perigon’s tagline, ‘a revolution in understanding’ but also to represent tangible aspects of the business. Circles are symbolic of an aerial view of a well. Circular bands represent rock strata. And natural, earthy tones reflect the colouration of rock samples. Simultaneously, partial rings represent discrete sets of data, with Perigon bringing them together to produce a complete loop. This brought us full‐circle to the 360‐degree visibility provided by their iPoint product. Armed with a new logo and messaging platform, we set about redeveloping their website. 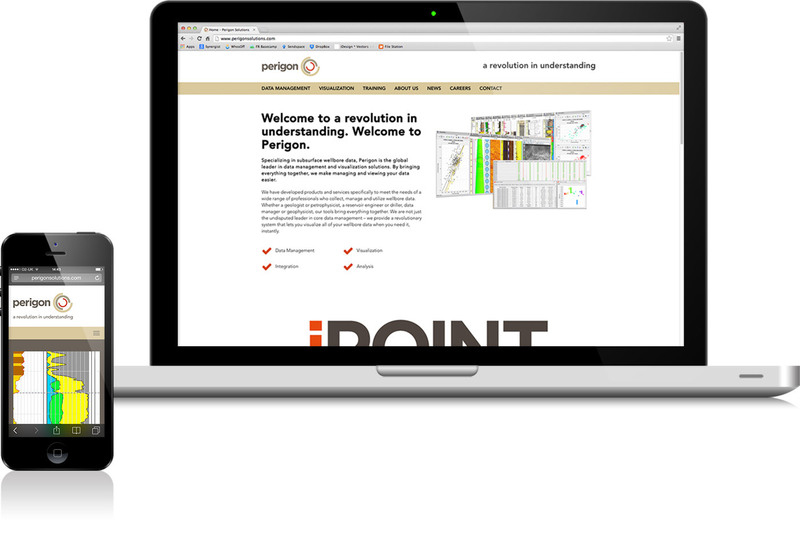 We wanted to target audiences to fully understand the unique capabilities of Perigon’s iPoint software. So we did something completely radical. We used the software. 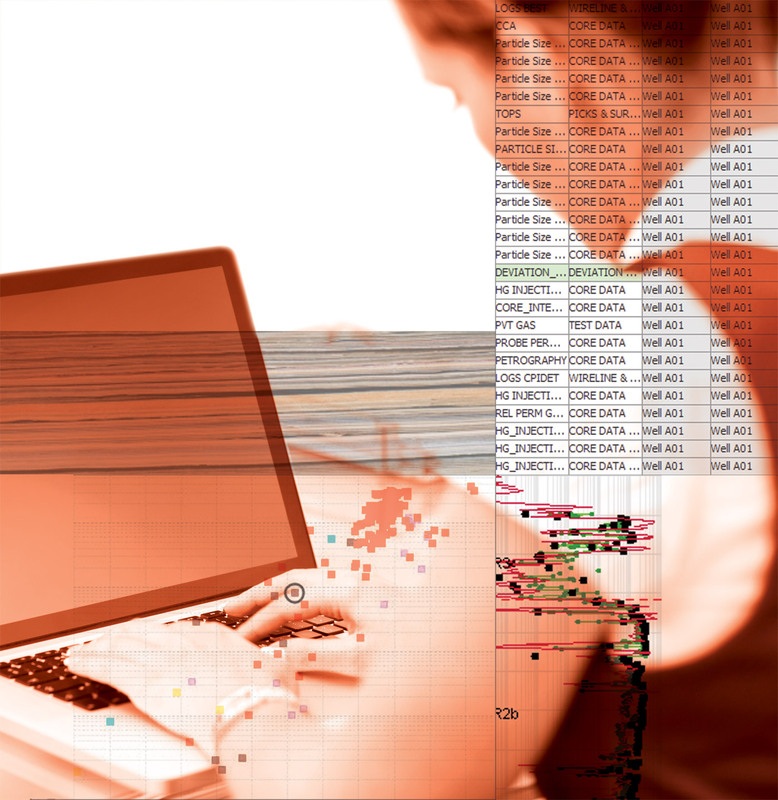 We spent a great deal of time with Perigon, immersing ourselves in the world of data analysis. When we used iPoint, the modular structure of the software became immediately apparent. So we adopted a modular structure for the website, creating distinct content elements that can be arranged and rearranged to suit the reader, combining images, copy and interactive visualisations to tell the story of iPoint. Perigon, the name strategically chosen by Perigon’s founders, meant ‘360‐degree angle’ reflecting the all‐round wellbore visibility delivered by the company’s software. It was important the meaning of this lesser‐known term was manifest in the solution we produced. Our work with Perigon was a bold move. We redefined their image. We revolutionised their website. This was a personal company, not a big, faceless organisation. We were proposing changing the fundamental visual representation of the company. So it had to be good. And when we presented the new logo to Paul Reid, Perigon’s founder, he loved it. The strategy was well grounded. And it provided a more accurate representation of the Perigon brand. The new logo won platinum in the logo category at the 2014 Hermes Awards, and also claimed third place in the logo design category at the 2014 Global ACE Awards. The logo design received a gold award in the design/logo category and gold for the website in the Website/B2B category at the 2014 Marcom Awards. I unveiled the new branding to all staff in the UK and I am pleased to say that the response was extremely positive (I had never seen some of the ‘quieter’ people so interested!). I think we are on a winner with it – so very pleased and can’t wait to start getting this out to our clients and onto material into 2014.